This has been a rough week for me, again I’ve just felt crummy. Physically I’ve felt like my brain is in a fog, like my head is locked in a vice, my breathing has felt labored and my heart a little fluttery. And at one point I wasn’t even sure if I dared to venture away from my house to attempt a run, simply due to the fear of passing out on the sidewalk. I stuck to the treadmill that day. And emotionally I was feeling down much of the week yet again. Not sure if if the physical symptoms are bringing on the emotional struggles or vice versa. But it’s also been weird in that once I’ve started running, my head has felt a little clarity. 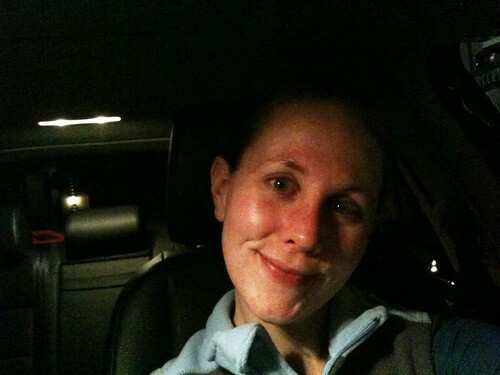 It’s like the running was a brief reprieve to the strain and burden my whole body was feeling. I thought that Tuesday night I felt that simply because I got to see and run with friends. 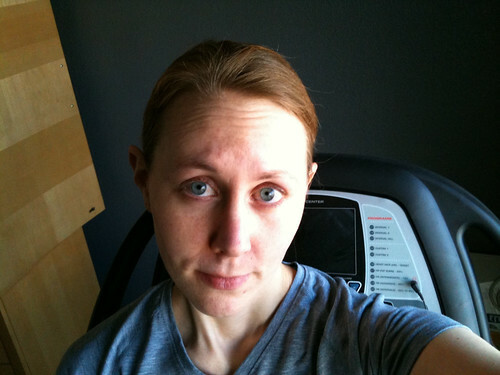 But I felt that same “life” on Thursday’s treadmill run, and usually the treadmill leaves me feeling kind of irritable. 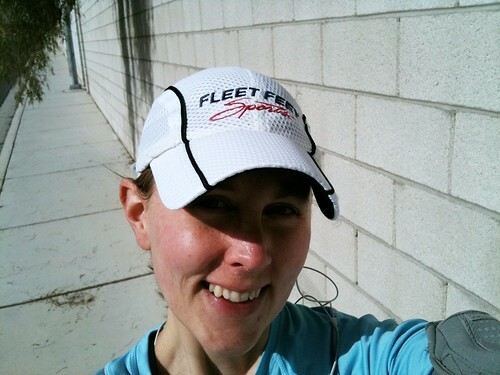 Yesterday I set out for my long run… long run being completely subjective. I still struggle to call it that when compared to marathon training. I was planning on doing 6 miles, but due to the fact that I went out without any set route and was just turning when I felt like turning… I did 7 miles. And they were 7 wonderful miles! I also ran a cumulative total of 1.5 miles barefoot on the treadmill this week, all just .25 mile at a time going 5mph. I will do that for another week, then make a decision on how I want to change it. I’m only doing this to strengthen my feet and legs as well as be more conscious of my gait. I have no aspirations to run a race with nekkid feet, so I’m not sure if I’m going to increase my distance on these barefooting runs or increase the speed. I’m traveling for work next week, I always find it difficult to get in my workouts while doing that. I always complain about it, but it seriously feels like all the hours in the day just vanish! Good for you, Jill. I’m glad the brain fog cleared a little when you got to run. Even a short respite like that can remind you that the brain fog isn’t permanent. Good luck on your work travels this week, I hope all goes well and you come back feeling a little energized from your change in routine. When the fog clears while running, it makes me wish I could just run all day all the time! 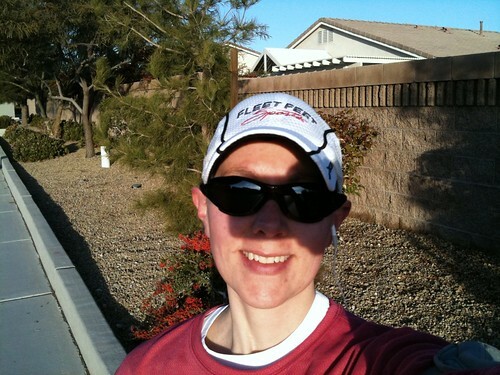 Jill – Nothing like a nice Sunday run to reprogram yourself – absolutely my favorite day of the week. Love my Sunday mornings. Hope you get a few runs in this week on the road – always a challenge for me as well as the routine with early flights and late nights play havoc with my schedule. Try to find an adventure or two out there – that’s my prescription for dealing with the road – a new trail or a different hill can revitalize me much like a nice Sunday long run. Running to see new places is such a great plan! I wish I traveled to more interesting places to employ that tactic! Have you seen/talked to you doctor about your dizziness? I struggle with Vertigo but it took years to diagnose. No, I haven’t talked to a doctor yet. I keep putting it off…. cause I hate doctors and the way they make me feel like I’ve wasted their time AND my time. I won’t launch into a rant against the medical system, but I’m often very unimpressed. I love your self portraits! You are so cute! That’s awesome about the barefoot running..but it still freaks me out! I think they’re definitely feeding on one another… the emotional and physical. It’s an infinite loop. Hoping to find the tool to break that link! great way to put it – “brain fog”, especially towards running some days. i think it’s foggy in my neighborhood this week. today i did 1.25 miles…..